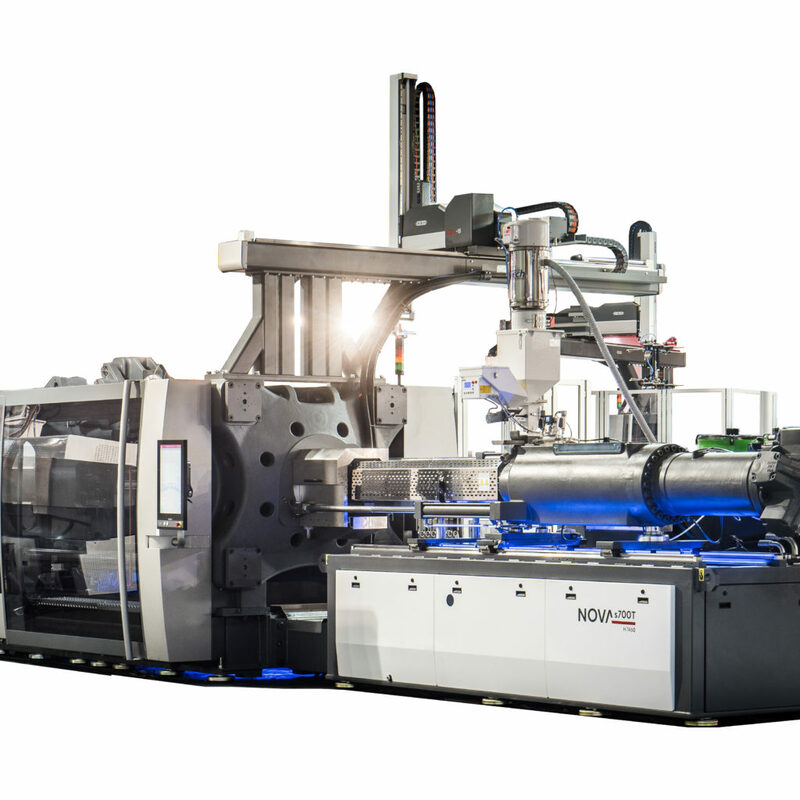 Negri Bossi celebrates the launch of its newest series of injection moulding machines in Turkish market: the Nova at PlastEurasia in Istanbul. At the event the highly technological Nova s700T with its innovative toggle system is shown, equipped with the FMC technology and complete with Sytrama automation. The new design and upgraded clamp and injection unit of the Negri Bossi Nova sT range combines versatility, compactness and control. The only true multi touch controller, Motus, incorporates user friendly gesture navigation with total configurability. Energy efficiency was at the forefront of the design consideration incorporating the very latest servo pump technology, purpose built for injection molding applications. The FMC technology is an in-house development of Negri Bossi for a gas mixture with plastics, for a lightweight production of parts and it is specific for Industrial packaging and automotive sectors. At the show, a mini pallet is produced with approx. 20% reduction in weight while maintaining the mechanical characteristics and surface quality in a good level.